Award winning Curve Power Bank. This design received the Silver A'Design Award 2016 in the Electronic Devices category for its creative design and stylistic product interpretation. 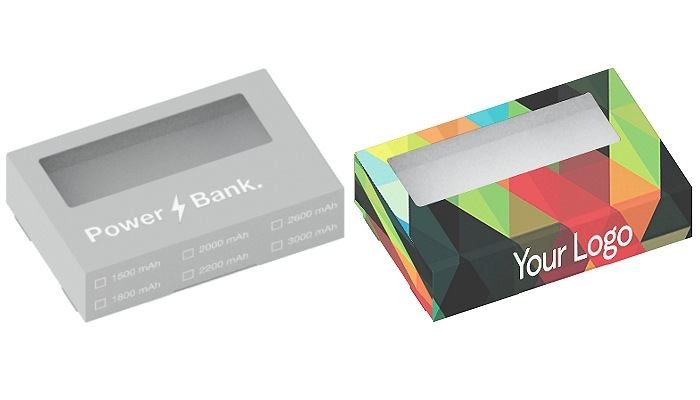 The power bank has a generously sized rectangular surface for logo branding and curved profiles. The plastic rubberised look body is embellished by a polished metal band at the base of the power bank, and is available in three colours: either gold, silver or copper. Power Curve can power two devices concurrently because it features two USB ports, and a micro-USB port to recharge the Power Bank. The rubber surface can also be customised using silk-screen printing, or using CMYK printing on a white background. Body Colours: Pantone, Silver + Black/White/Blue, Gold + Black/White/Blue, Copper + Black/White. Branding Area: 79 x 56mm front & rear.